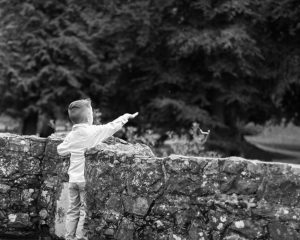 Whats it like to be a family photographer in Northern Ireland? Golly gosh don’t we live in a beautiful corner of the world. I love being a family photographer in Northern Ireland. Although its pretty wet, is such a lovely little place. 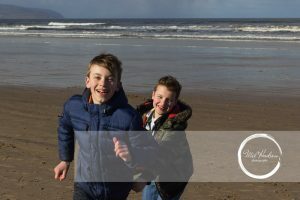 Our North Coast is breathtaking and its so much fun to do outdoor family photoshoots here. I have spent a lot of time up at the North Coast this summer. Clients hold the North Coast very dear to their hearts. So obviously they’d like to capture some memories where they love. Locations can add energy and joy. Especially if its somewhere your children love. Children’s photography is a joyful experience to be a part of. No matter how much gentle persuasion that Mum & Dad do if your children aren’t happy. Then game over, they won’t enjoy the photoshoot. 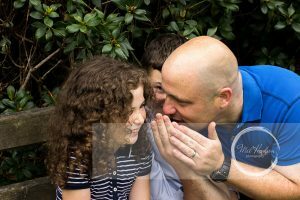 So you’ve booked a family photographer, ie me Mel Hudson Photography … hehe, you’ve decided upon the photography package that suits your family. We are going with an outdoor family photoshoot. How can we make sure it goes smoothly. Well in my experience all children love to explore. When they first meet me and see my black camera. Which is why we dont jump straight into the shoot. We chat, explore, play and then the camera starts to work. By the end of the family photoshoot i normally have your little humans chasing me to come take a picture of what they have discovered. Its joyful when they want to become part of the shoot. 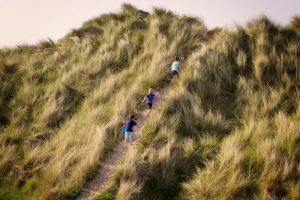 Even with my dodgy knees i managed to follow these three up into the sands dunes. What joyful fun i had this summer. Being a photographer in Northern Ireland has let me discover little nooks and crany’s that mean something to my families i photograph. I love meeting them and have them tell me stories about why we are here. Having Mum & Dad relax and enjoy the afternoon with their kids. Its a lovely lovely way to feed your soul. Hastag best job in the world. 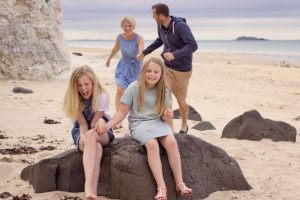 So if you fancy meeting up with this family photographer, then give me a call or email me HERE and we can pick somewhere beautiful in Northern Ireland to go explore.